Ed Engel found a photo of this old barrel roof diner while searching through the 1980s NYC DOF tax photos online. Full record here. It’s still there, though as seems to be the case with these 80+ year old diners, it looks to be hacked to bits and barely recognizable. 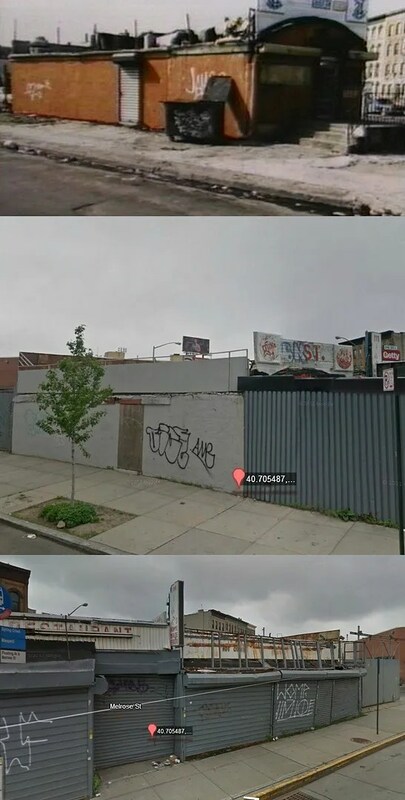 This entry was posted in Diners / roadside related, Diners/ restaurants and tagged Brooklyn, diner, diner find, discovery, find, grocery, history, Mike's, New York, New York City, NYC, Queens, restaurant, uncovering history by Spencer Stewart. Bookmark the permalink. Unrelated to this post, a former NYC diner (Munson’s, yes the one from Seinfeld), currently sits idle in Liberty, NY. It is listed on the county auction (Sullivan) for unpaid taxes. Three different people have tried to operate it, with no success, either because of poor location or no advertising. with all these diners in NYC, I still marvel that noone has been able to identify the one that was used in a short scene in the first godfather movie.